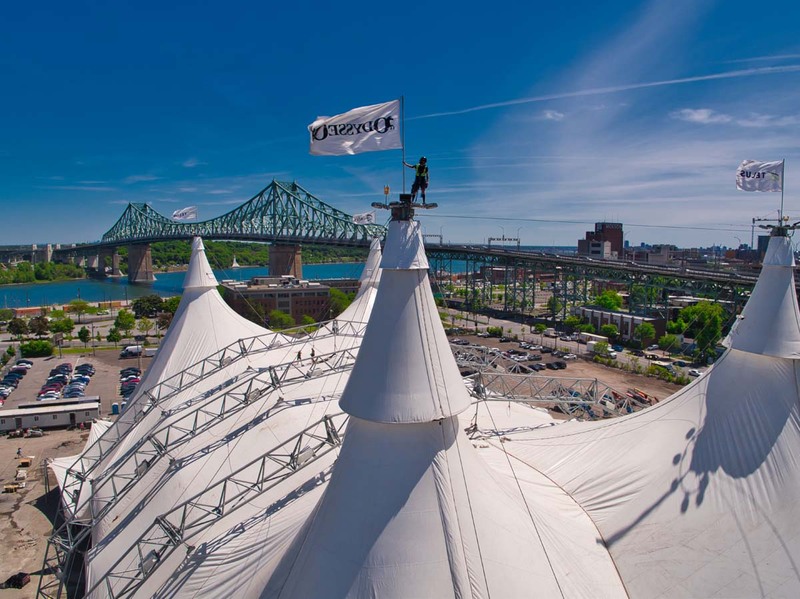 Cavalia Odysseo • Our White Big Top is up in Montreal! The world’s largest big top tent has been raised today on Sainte Catherine Street downtown Montreal for the much-anticipated return of Odysseo in Quebec. 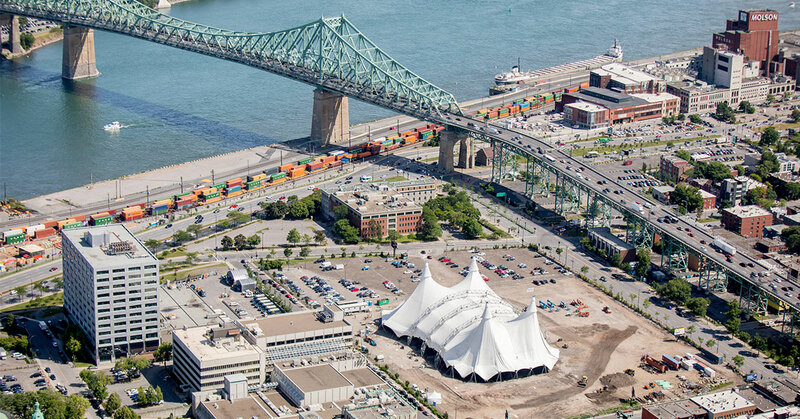 The spectacular production featuring 70 horses and 50 riders, acrobats, dancers and musicians will be presented starting July 25 under the White Big Top at the entrance of the Jacques Cartier Bridge, on Sainte Catherine Street East at the corner of De Lorimier Avenue. It’s the first time Cavalia sets up downtown, at an exceptional location that is at the heart of the city’s renowned summer festivities. With public transit and a bridge nearby, travelling to and from the show site will be a breeze.